What IF there is only ONE zero point? The last few newsletters have been a series exploring the nature of reality and who we really are. We have looked briefly at the role of the mind, body, soul, and spirit in creating our physical life experience. In a nutshell, physical reality is a 3D holographic image created in the space-time of your mind by your body and your brain. 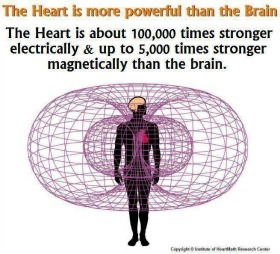 The energy and information (thoughtforms and feelings) that your body and brain use to do this is radiating from the zero point in your heart. But what is this zero point in the heart? Where does it come from, and who are you in all of this? In theoretical quantum physics, it is possible for one particle to exist simultaneously in multiple points of space and time. Also, quantum theory suggests that space and time (your mind) is filled with infinite zero points - also known as the "zero point field". Each of these zero points are simultaneously infinitely small, yet contain infinite energy and information. Zero points are also called "event horizons". An event horizon is where the physical and non-physical aspects of reality can "connect" or "cross over". Now, what IF there is only ONE zero point? And what if that zero point exists simultaneously in infinite points of space and time? If that were true, then ALL zero points are connected to the same Source of infinite energy and information. There would be only one Source, and each of us would have access to that Source through the zero point in our own heart. Who we really are is Source. Who we "think" we are is literally the 3D holographic manifestation of thoughtform and feeling in the space-time of the mind. If this is true, then the spiritual belief that there is only One Source could be verified by theoretical physics and mathematics. Now you might ask, "If the zero point in my heart is the same zero point in your heart, why aren't we exactly the same?" Even though there is only ONE zero point, it is existing simultaneously in infinite points of space and time. So, each zero point occupies a UNIQUE point of view. The unique point of view occupied by the zero point in your heart is creating your body, your brain, and your world view. In the previous newsletter I invited you to send the 3D holographic images created by your brain back to Source through the zero point of your heart for completion. If the zero point in your heart is the same zero point in everyone's heart, when you do that it is happening simultaneously in ALL hearts! This is how we can transform the Illusion of Separation created by our brains into a virtual "heaven on Earth" in our minds. I invite you again to try it! Keep sending the 3D image created by your brain back to Source through your heart. Simply focus on your heart and create feelings of gratitude, inner peace or contentment. Take deep even breaths, and imagine breathing the images in your mind - physical reality - into your heart. 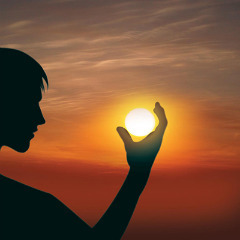 Ask your heart to replace any false, fear base beliefs that are giving substance to those images with Love based Truth. Then breathe out gratitude, filling those images with the energy of Love based Truth. Notice how this makes you feel. Do you feel less stressed? Happier? Do you have more patience? More energy? Are you more resourceful? Able to solve problems more quickly and easily? 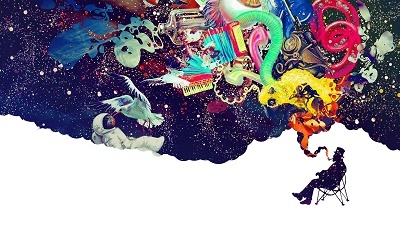 I call this process "Creating A Mind With Heart" and you can learn more at Metaphysics-for-Life.com. Next week I am going to move on to the topic of money - how we give substance to the thoughtform of money in our minds, and how that affects our life experience. This is a thoughtform that affects everyone!